The official line is that Chelsea Manning back in jail over making false statements in her court-martial. The real reason is as grim as it is obvious. 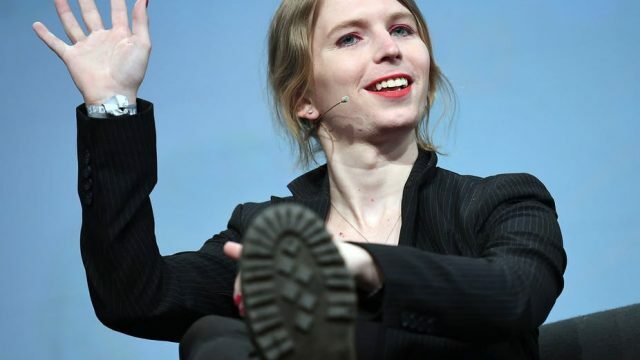 “Chelsea can be incarcerated for the remainder of the grand jury , and the term of the grand jury can be extended by six months,” Manning’s attorney Moira Meltzer-Cohen told Business Insider. And of course, the fauxgressives who’ve been shrieking about Trump’s “war on the press” for two years have nothing to say about this administration setting a horrifying precedent by throwing a whistleblower in jail in order to force a journalist’s source to testify against them. Of course, the McResistance who’s been screaming bloody murder about Trump saying mean things about Jim Acosta has nothing whatsoever to say about this administration pursuing the arrest of a journalist in a precedent which would be devastating for press freedoms around the world. Assange started a leak outlet on the premise that corrupt power can be fought with the light of truth, and corrupt power has responded by smearing, silencing, and persecuting him and doing everything it can to stomp out the light of truth, up to and including re-imprisoning an already viciously brutalized American hero like Chelsea Manning. This is as clear-cut an admission as you could possibly get that the most powerful forces in our world are not at all what they pretend to be.